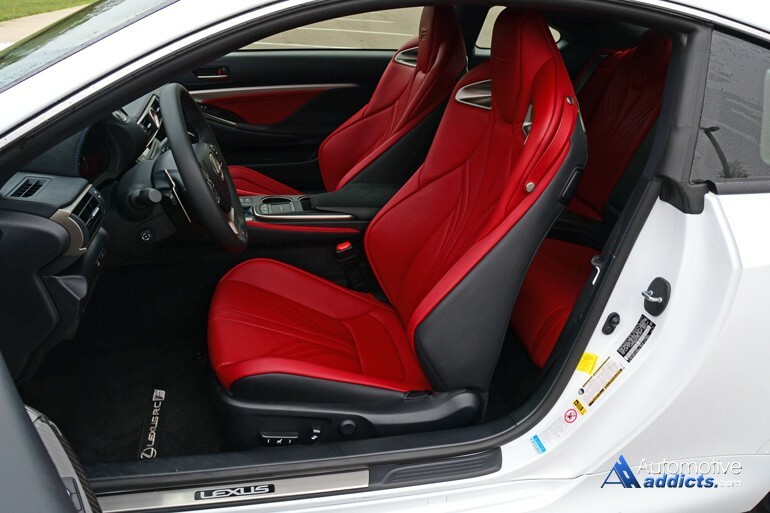 In our current golden automotive age when forced induction and smaller displacement seem to be a growing and well-perceived force, it is invigorating to see Japanese automaker Lexus building 5-liter V8s for their newest luxury sports coupe, the all-new RC F.
When I first approached the new Lexus RC F for a spin through upstate New York roads and then on the Monticello Motor Club track, my initial impressions were mostly positive and I instantly became a champion for the RC F. After spending a full week with the new Lexus RC F, it is evident of it being a better street car than it is a track conqueror, yet capable in both environments. Some may think I have given into the kool-aide poured by my fellow journalists when few have concluded that the Lexus RC F falls short competing with the BMW M4. 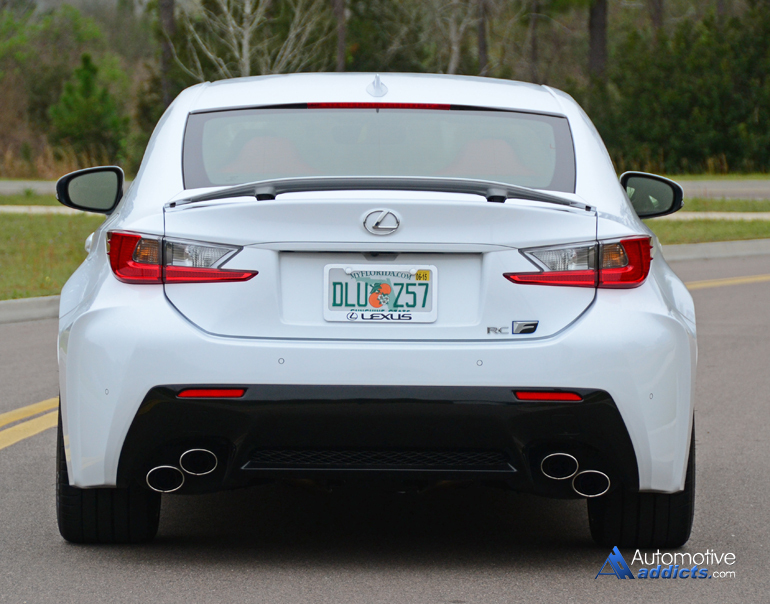 To some of them, I say, that may be true in some aspects but in the full scheme of things the Lexus RC F seems more at home on public roads as well as sharp-bending canyons than on competitive tracks. 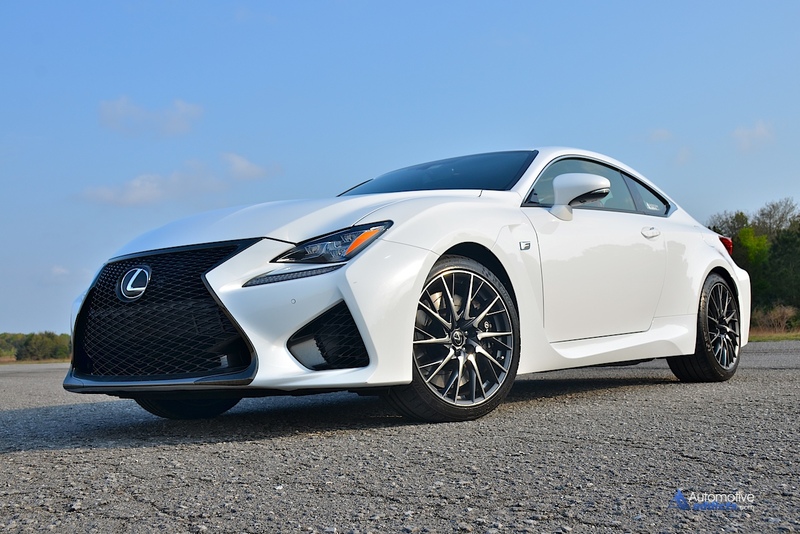 What I am getting at here is, the few shortcomings of the Lexus RC F are mostly reserved to its 3,958 pounds and less-than-eager low rpm power band (389 ft-lbs of torque at 5,600 rpm) coupled with its 8-speed automatic transmission. I would do you a disservice by failing to mention these aspects in a direct contrast of the BMW M4, which is, after all, its direct competition in my mind. 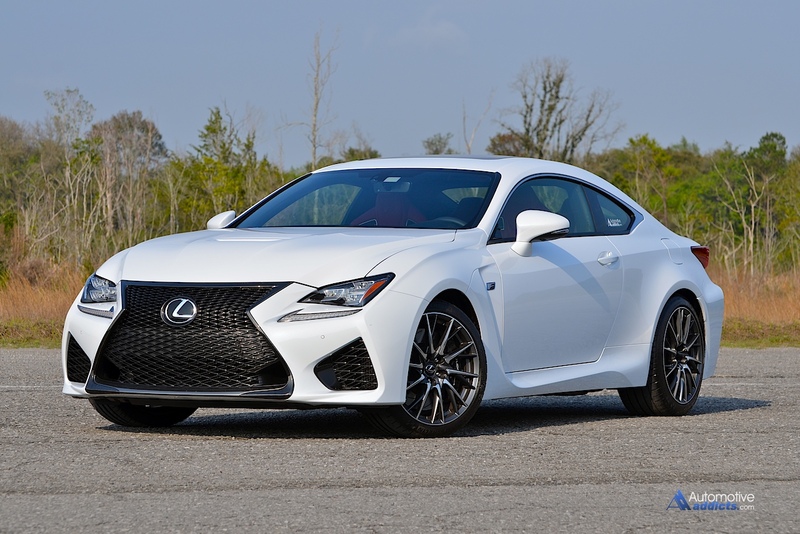 The new Lexus RC F, a hodgepodge grouping of current Lexus line-up chassis’, pulls off its own signification in its demeanor for driving character and power output at 467 horsepower from its 5.0-liter V8. The engine is a screamer, something that you can’t find in other dealerships. 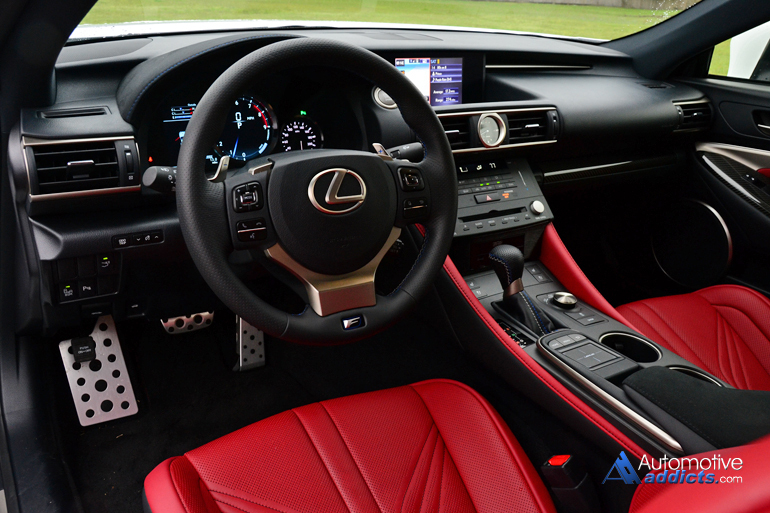 Mated to an improved 8-speed automatic, one that casts out many quirks found in the outgoing Lexus IS F, is a joy to manually shift by way of the steering wheel mounted paddles. I will say shifting is faster but there are still some delays that I found in normal drive mode. The 8-speed automatic will still take a second to reach its desired gear upon a downshift from 8th gear if it is more than one single gear at a time. This was apparent mostly during 8th to 2nd gearshifts, which is asking a lot of the transmission. This is where I took notice to the odd gearing ratios of the RC F, which seem to be geared more for a 6-speed than one that has an additional two forward cogs. Lexus may have done this more for efficiency as you can still reach just over 70 mph in second gear, hardly the ratio you expect for a unit that has 8 forward gears. First through third gear could have easily been shorter considering how the deep-toned V8 roars its way to its 7,300 rpm redline. Of course, that roaring V8 requires decent amounts of premium fuel to the tune of an EPA estimated 16 mpg city, 25 mpg highway and 19 mpg combined. 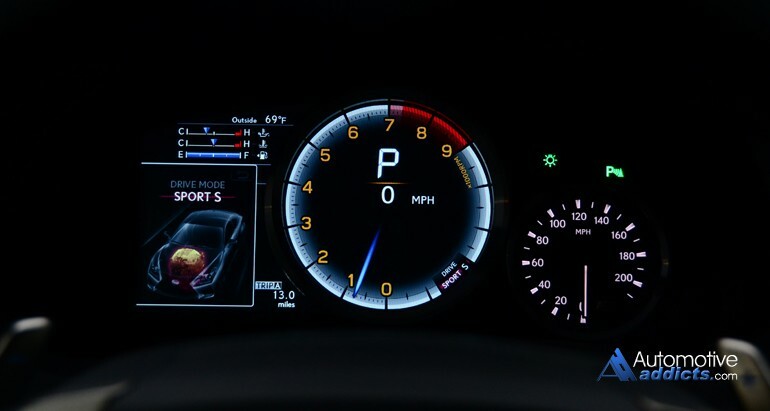 Those figures are frequently attainable, mostly when you opt for the Eco mode taking away the RPM gauge on the configurable LCD gauge cluster, which takes its sport mode cues from the Lexus LFA supercar. I wouldn’t take all of what I have said thus far as the end-all to any hopes of the RC F impressing me, or you. Bottom line, the RC F is quite impressive and Lexus has shown that they aren’t afraid of standing out a bit with bold new designs and big V8s, paving a distinctive direction when others play it safe with subtlety. Part of that boldness, outside of its audacious exterior design statement, are traits such as a Sport S plus mode and an Expert stability and traction control mode that allows you to break the rear end loose just enough to perform light drifts and burnouts with the help of its standard Limited Slip Differential. The subtleness also takes a back seat with the motorized spoiler that automatically rises at 52 mph for added downforce out back. 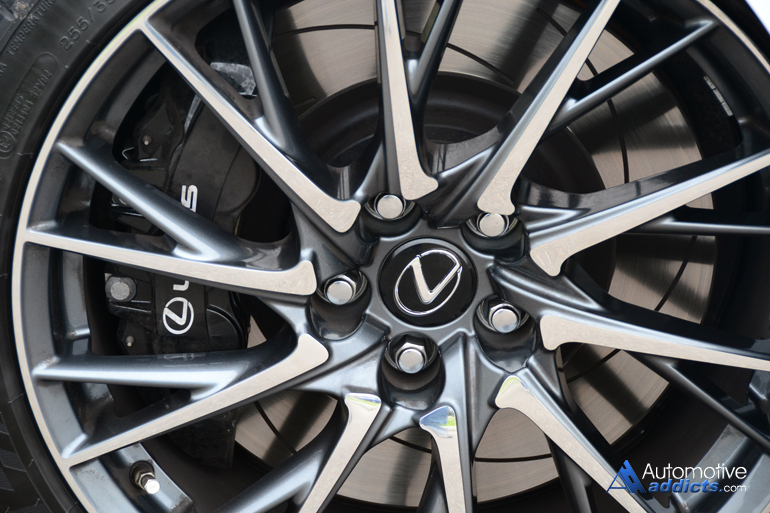 Then, you have sticky Michelin Pilot Super Sports wrapping forged 19-inch wheels on hubs featuring slotted rotors and Brembo 6-piston calipers up front and 4-piston rears. 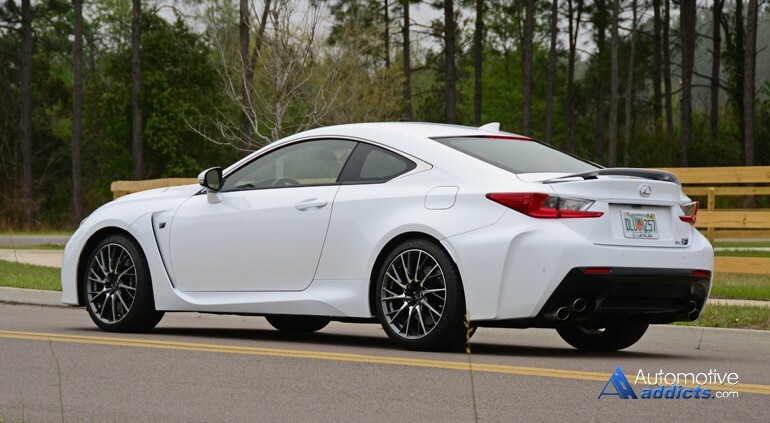 Working off of a fresh set of pads, the RC F comes to a stop in about 108 feet from 60 mph. 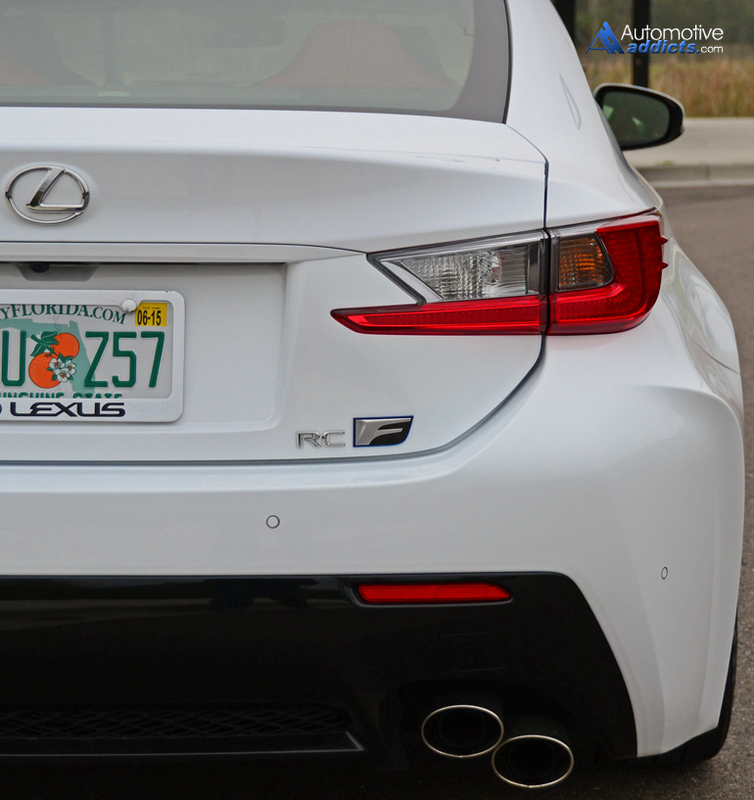 In the other direction, reaching 60 mph, the RC F takes about 4.4 seconds – pretty quick stuff here. 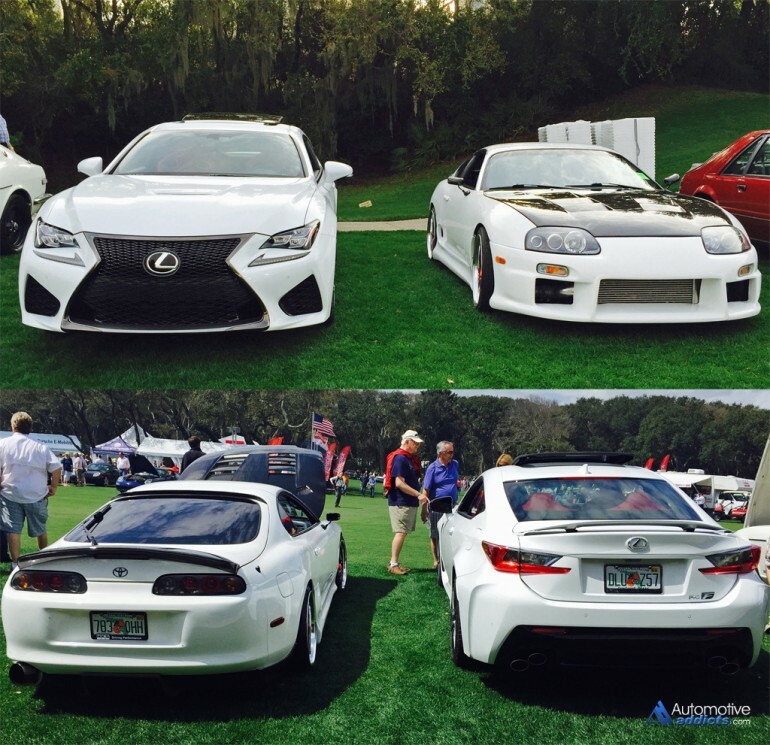 During my week with the new 2015 Lexus RC F I was able to take it to the Cars and Coffee at the Concours show, a yearly event taking place the Saturday before the Amelia Island Concours d’Elegance. For the second year in a row, we were able to assist the Concours staff in selecting vehicles to put on the lawn for the Cars and Coffee spectacle, and the RC F was one of the 350 vehicles fortunate to grace the field. Parked next to a tastily modified 1997 Toyota Supra 6-speed single Turbo, it was evident of the Toyota/Lexus brand making a turn to its sporty roots as they are visually unmistakable in the RC F. Its aggressive exterior lines and massively proportioned front “spindle” grille signify the new Lexus design character with a bit of flare. 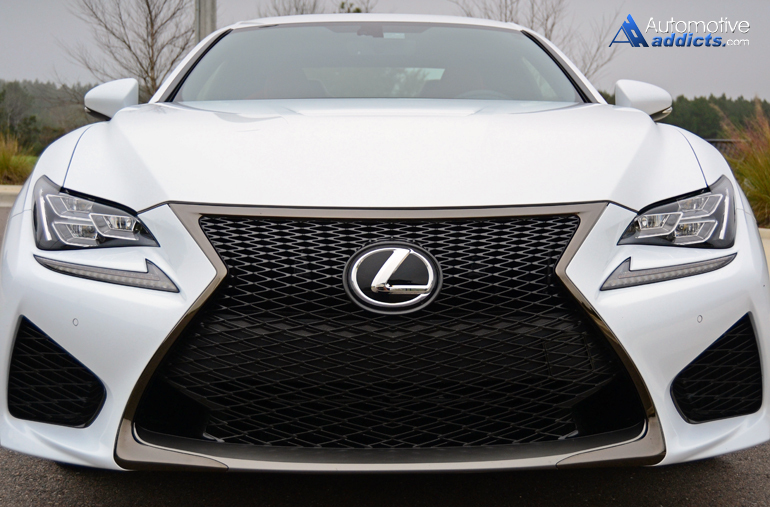 With the RC F being the performance variation of the RC 350 V6-powered coupe, it is refreshing to have some of that design trickle down to the RC 350 F Sport, which is a way of getting the visual taste of the RC F but with 306 horsepower and a smaller price tag. Garnishing the luxury appeal and exceptional sportiness wrapped up in the expected quality package Lexus is known for, is just what you get in the new RC F. The nicely bolstered seats up front with fixed F-embroidered headrests, heating and ventilation, and a decent amount of adjustability, are among the best supportive seats for a luxury sports coupe I have rested my posterior in. The long travel of the front seats assures the proper and comfortable seating positions for people who are well over 6-feet tall, such as myself. 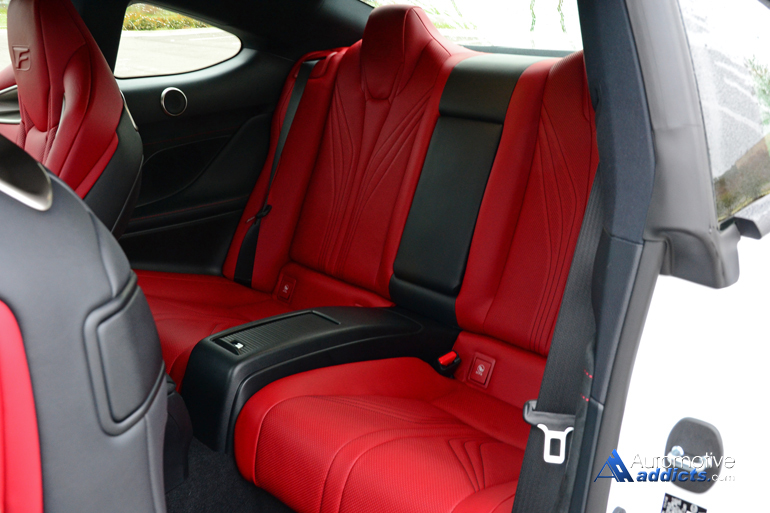 The rear seats, quite short on space, are reserved for use by two small children, nothing more. The dashboard’s design, following that of the current IS, feature a new trackpad, which I found to be the least desirable part of the interior. The trackpad, a slight improvement over the mouse-like joystick that it replaces, incorporates force-feedback that I found unwelcomed. Fortunately, you can disable the force-feedback by turning it all the way down in the settings menu. After doing so, spending about 15 minutes with the infotainment system became a quick second nature for me. 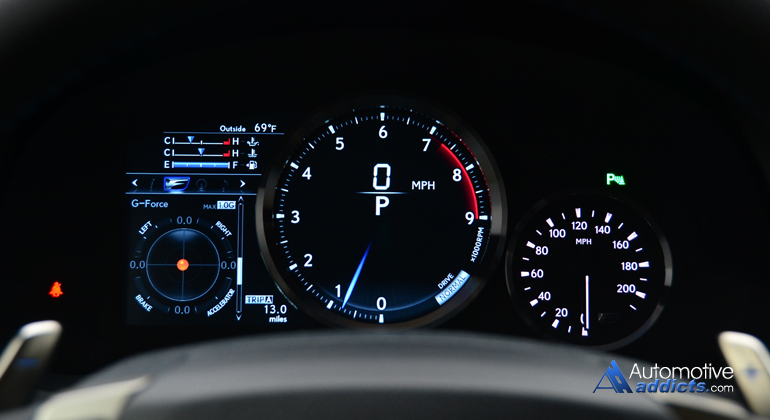 Use of familiar menu sets and icons on the Lexus Enform suite of apps remained user-friendly without any lagging screens. 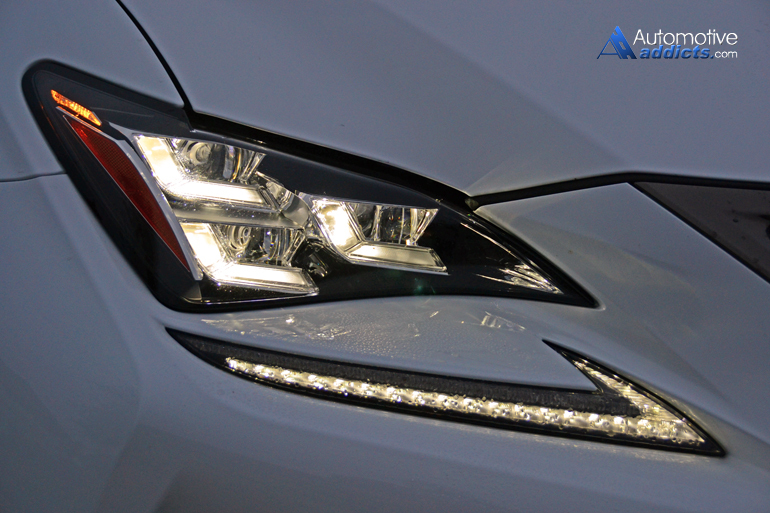 Lexus continues to impress with their quality and durability. 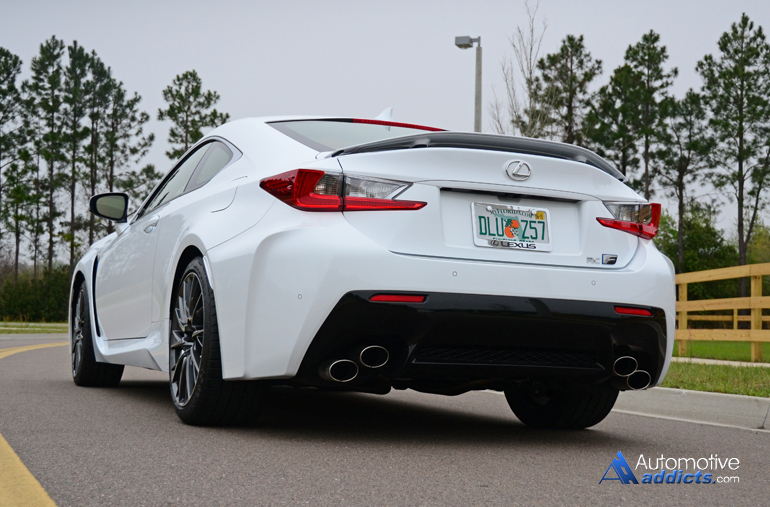 There was nothing about the Lexus RC F that made me think it wouldn’t last well over 100,000 miles before requiring anything outside normal maintenance. 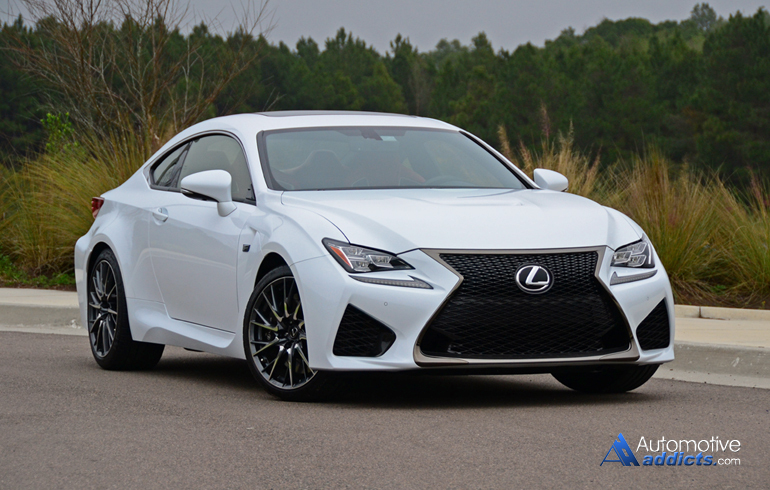 The rigid structure and chassis of the RC F helped it communicate the road through the nicely-weighted steering wheel, even more so in Sport and Sport+ modes with better throttle response and the 8-speed automatic transmission keeping the RPMs in the sweet spot. 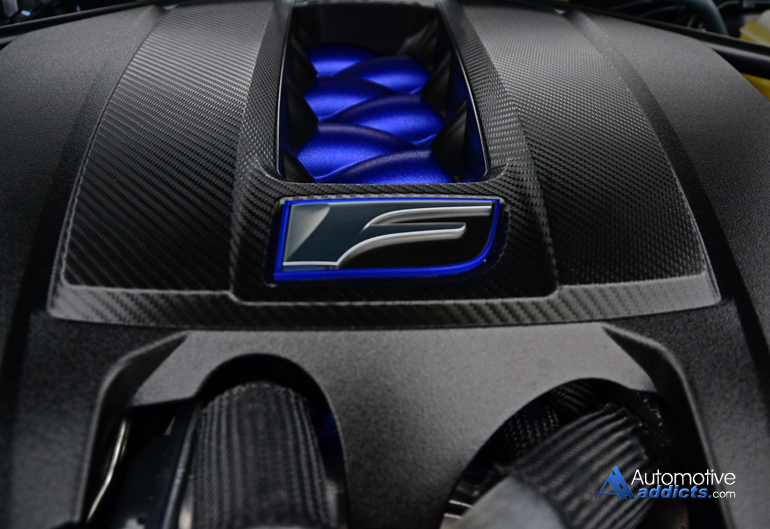 Thrashing the RC F through local roads and open highways sung a nice tune from the throaty V8 opening up its intake manifold, mostly overshadowing any exhaust note all the way to its 7,300 rpm redline. Power is smooth and the body remains vibration free. 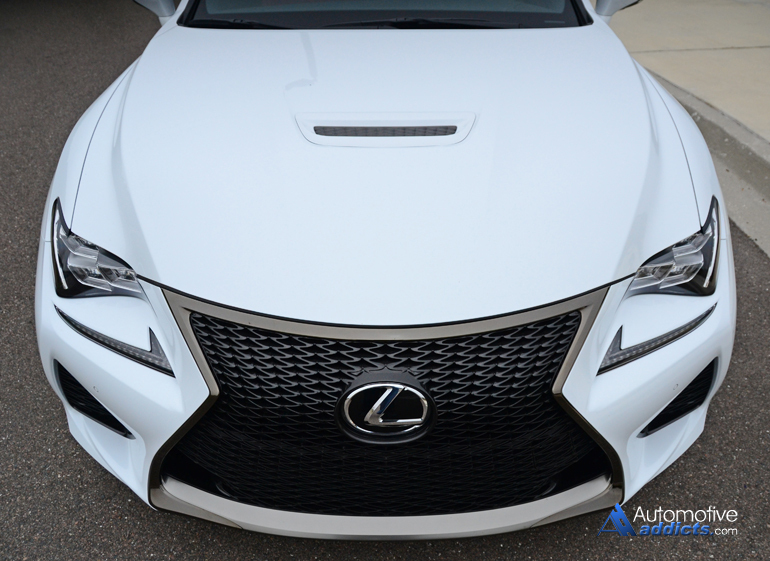 The functional bits of its bodacious body panels, venting hood, and motorized rear spoiler all aided to the RC F’s performance aptitude. 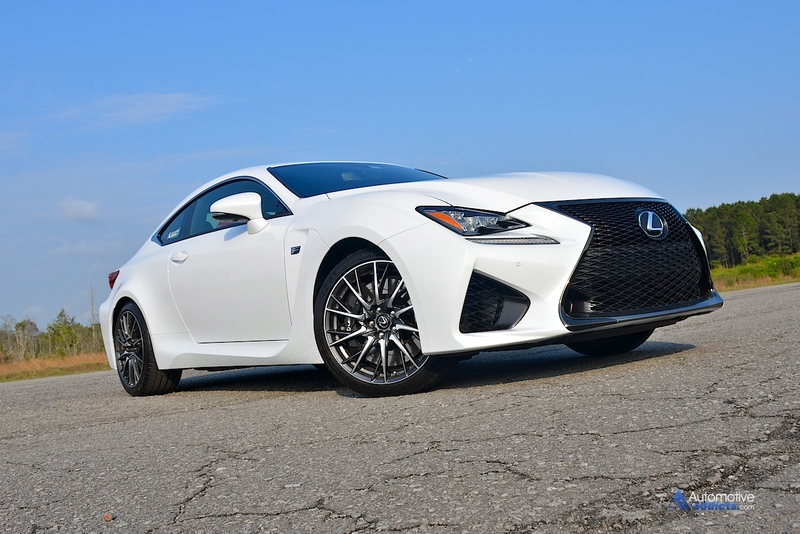 I already knew the RC F was perfectly capable on the track with excellent stability and a lively chassis, never backing down from a 160 mph-plus challenge. Now, living with it for a week I can walk away with a definitive placement of where it calls home, and that’s in the hands of someone who wants something different but not to the point of diminishing those expected qualities of a true luxury sports car under the umbrella of exceptional build quality and a relentless pursuit of perfection. 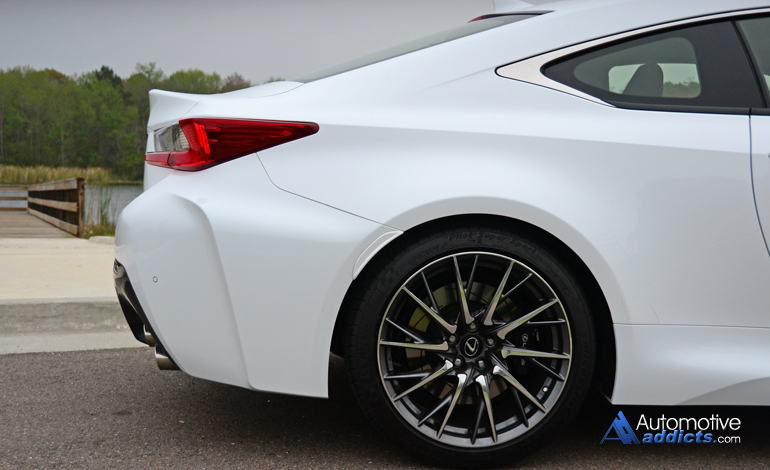 My 2015 Lexus RC F test vehicle has a starting MSRP of $62,400 but with the options of 19-inch hand polished 20-spoke forged alloy wheels, leather trimmed seats, the navigation/Mark Levinson Package (5.1 channel surround sound audio w/17-speakers and 835-watts, backup camera, navigation system, remote touchpad controller, voice commend, app suite), Premium Package (heated/ventilated front seats, carbon fiber interior trim, blind spot monitor w/cross traffic alert, intuitive park assist, rain-sensing wipers, auto dimming mirrors w/reverse tilt) and Moonroof, the price came to an as-tested $73,965 including a $925 delivery, processing and handling fee. EPA passenger volume: 79.4 cu.ft. 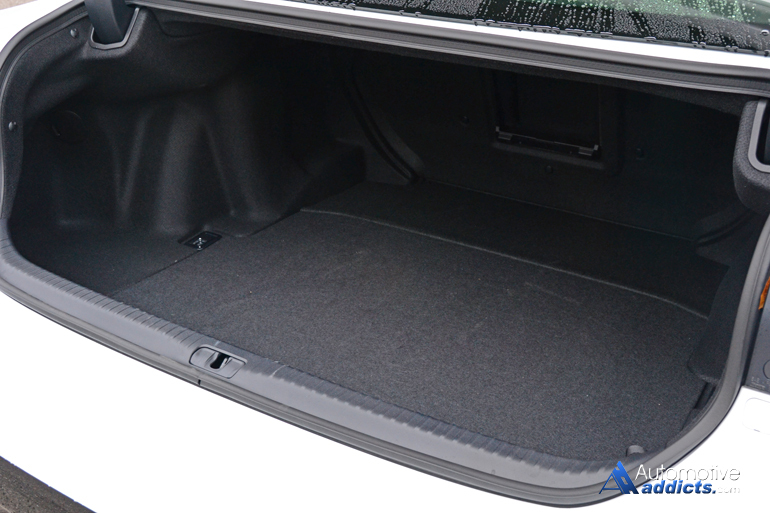 EPA cargo volume: 10.1 cu.ft.